Any Color Bedliner Kit - UV Poly Hybrid Bed Liner Product. INCLUDES SIMPLE INSTRUCTIONS + LIVE. PROFESSIONAL GRADE ADJUSTABLE SPRAY GUN (not a cheap undercoating gun or roller). Customize with your own (PPG) automotive grade tint to any color. Exact match for any color code available with our custom color options available (see below). Create custom colors with smaller batches for multi-colors such as camouflage. Compare to Scorpion Dealer Startup kit, LinerXtreeme, Raptor and others. You can't beat the amount of sprayable bedliner for the price. A sprayable gallon specifiically equals 1,604 Sq. At bedliner thickness of approx. 100 Mil that's 16.4 Sq. No coating in the world can change that formula. Colors shown below are our stock colors. You can select Black, Dark Grey, Light Grey, Medium Grey and Tintable Clear at no additional cost. Many exact match paint codes are available at the same low cost. 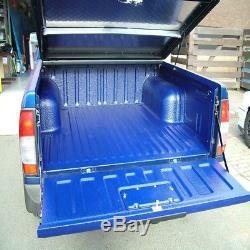 This Spray on Truck Bedliner Color Match Kit Includes. 3.0 gallons of sprayable bedliner (more than our standard kit). Apply, vary texture, Technical Data Sheet. Actual bedliner spray gun with texture adjustments. Support from professional coatings staff 24 x 7. "KIT" WARNING - no bedliner kit includes "everything" to get jobs done. Look carefully at SLC vs any DIY: most product + best equipment = more value than dollar-store & hardware store items in all competing kits. Spray-Lining & Coatings DIY systems are all professional grade poly-hybrid products, simple to install, covers more sq. Footage per dollar at the proper thickness than all of the competition. SPRAY-IN TRUCK BED LINER is designed for applying directly to your truck bed. Other parts such as inner fenders, under body, and chassis are easily done by specific directions for slip-proofing, soft medium or hard or Anti-Stick behavior. It protects against rust, corrosion, UV damage, and extreme temperatures. It dries rapidly to a liquid-proof seal. Spray-Lining and Coatings specializes in spray-on truck bed lining systems, DIY as well as High Pressure, plural component pure polyurea coatings, poly-hybrid, specialized epoxy, fish pond poly-hybrid kits, flooring (epoxy) coating systems and unique, specialized solutions. We reduce costs and simplify applications better than DuPont, PPG, Sherman Williams, BASF do for giant jobs. 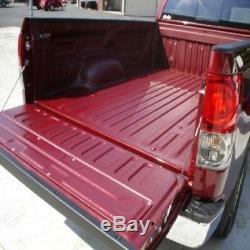 More Helpful Information About Selecting A Spray-in Truck Bed Liner For Your Truck. OTHER PRODUCTS EITHER NEVER MENTION HOW MUCH MATERIAL YOU ACTUALLY RECEIVE, OR PROVIDE FALSE CLAIMS. Always VERIFY how many gallons of spray-able material you get, then do some simple math to make sure they are telling the truth. The store claims that this will cover up to 100 SQ FT up to 1/8th inch. Dont be fooled with claims like this. One gallon can only cover 12.8 square feet at 1/8th inch. Three gallons cannot cover more than 38.4 square feet. To cover 100 square feet at 1/8th of an inch, physically this = 7.8 gallons. 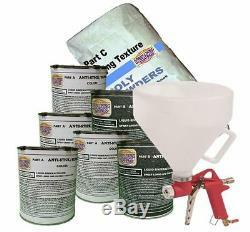 Compare that to our 3 Bed Kit which = 6.9 spray-able gallons with included quality gun for less. 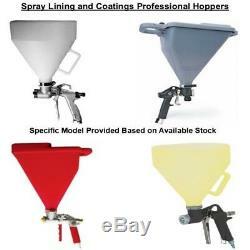 Spray Lining and Coatings support staff is always ready to help and provide you with more details about our products. Our spray-in koi pond and truck bed liners will ALWAYS outlast the competition. Get in touch with us to customize your order for your specific needs. Warning - Never use a spray-in truck bed liner which does not include an A and B liquid product. One part bedliners simply dry and will not provide lasting protection. All of our spray-on lining products are made of plural component poly-hybrid, epoxy, and pure polyurea for long lasting protection. 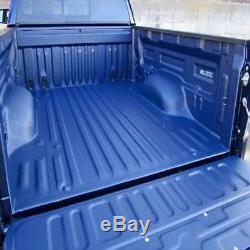 Any reputable "bedliner" applicator would always apply truck bedliner consisting of at least two parts. Jeep, Chevy, Ford, Dodge, Toyota, Nissan; All Truck and SUV owners need to compare SL&C to the others. Get into the truck bed lining & coating business with SLC dealer packages or quantity orders. Simply order the larger packages, get discounted cost and use for multiple vehicles & other jobs. Also Excellent on Jeeps, boats, tool boxes, running boards, canoes anything you want to protect. The item "Color Match Professional Grade Spray on Truck Bed Liner Kit (Spray Gun Included)" is in sale since Monday, January 29, 2018. This item is in the category "eBay Motors\Automotive Tools & Supplies\Auto Paints & Supplies\Specialty Paint & Coatings\Truck Bed Liner Paint". The seller is "joeliner10" and is located in Newark, New Jersey. This item can be shipped to United States.